Commercial quality aquarium pumps for aquatic life support, water circulation and filtration from Reliable Equipment Sales operate under high pressures and high flow rates with minimal maintenance year after year. Reliable offers a wide range of return pumps, external pumps and sealed, submersible pumps to keep fresh water and salt water aquariums clean, clear and running smoothly, whether in an aquatic museum, animal park, zoo, medical office or residential fish tank. 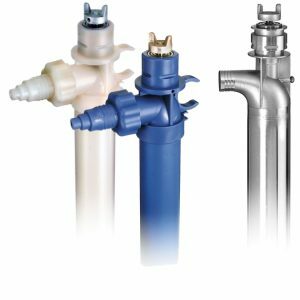 Sealed horizontal pumps from Penguin and magnetically driven pumps from Finish Thompson and Sethco are proven dependable in aquariums, ponds, fountains, water gardens and marine education centers around the world. For guidance on calculating the turnover rate, on how to size a pump, how to select the right pump or how to specify the right pump, call 203-740-1877 or click to chat. Sethco P90 drum pumps empty 55-gallon drums in less than two minutes. Offered in a wide range of models with a one-piece tube in a choice of polypropylene or stainless steel for beer, wine and sanitary applications. 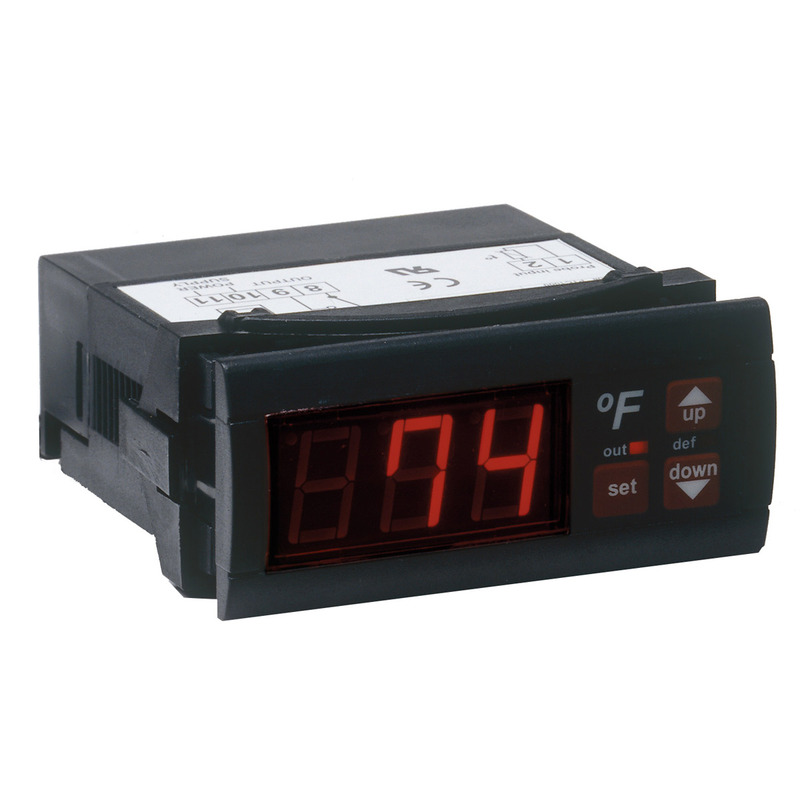 Click on the model number or to find out the model needed, use the selector menu to choose from polypropylene, PVDF or stainless steel, discharge tube length and more. Or call for free guidance! Finish Thompson DB Series horizontal magnetic drive pumps are offered in more than 30 different styles and configurations. 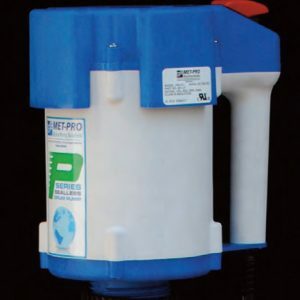 Click on the model number or to find out the model needed use the selector menu to choose from polypropylene or PVDF for aggressive fluids, max flow to 136 GPM and max head to 98 feet, and the sizes of the suction, discharge and impeller. Or call or chat for free guidance! Flux Pumps F Series tubesets with seals feature a proven, mechanical seal design for extended pump service life. 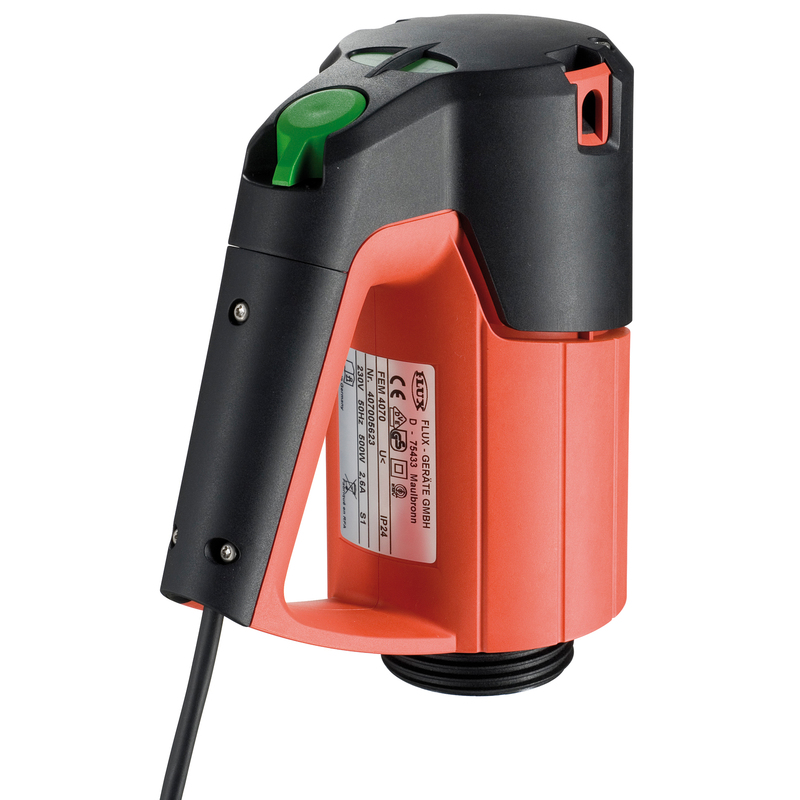 The drum pumps and container pumps handle a wide range of adhesives and similar liquids. 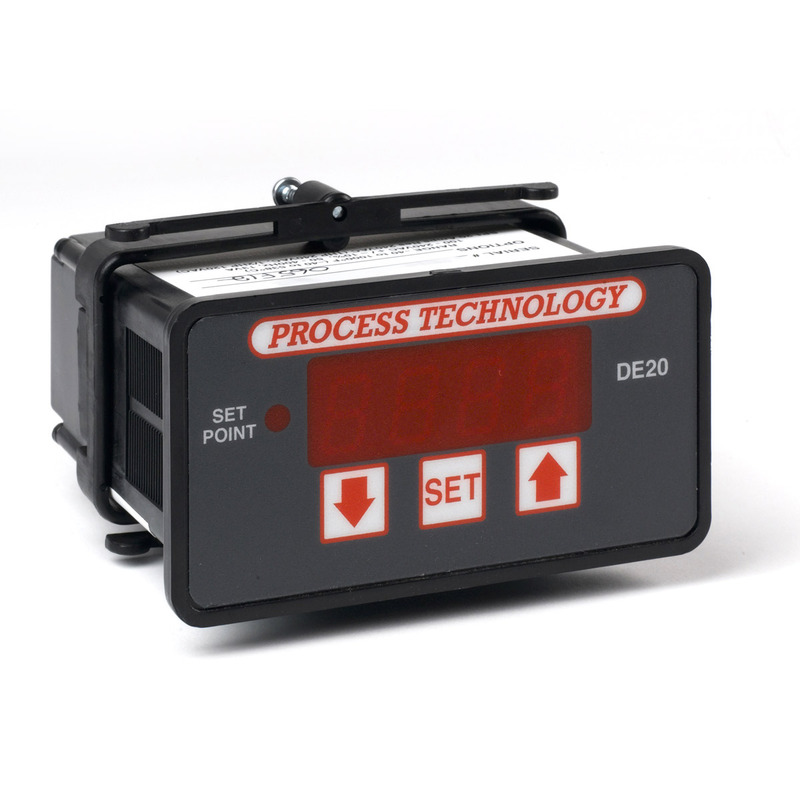 Click on the model number or to find out the model needed, use the selector menu to choose from polypropylene, PVDF, aluminum alloy or stainless steel, the max flow and head, and discharge tube length. Or call or chat for free guidance! The Sethco P90 motor by itself works with the Sethco P90 drum pumps. Choose from three, different, high-powered motors that empty entire drums in less than two minutes. Motor only. 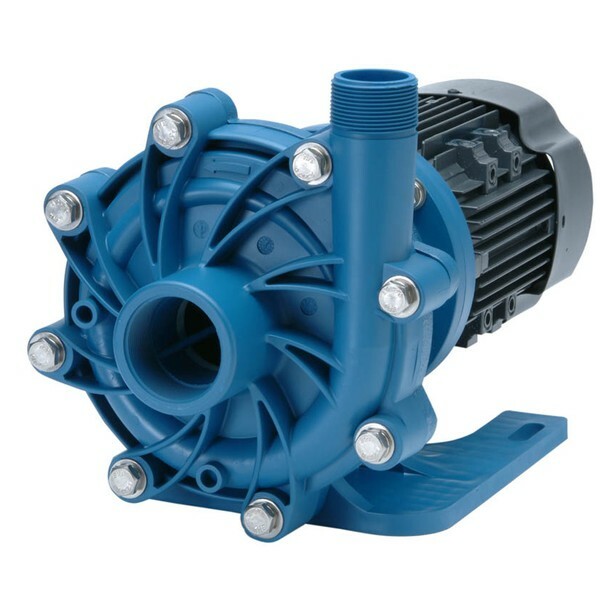 Finish Thompson SP Series self-priming pumps are offered in a wide range of specifications to suit your wet process. Pumps are ideal for pumping liquids from pits, tanks, railcars, and tanker trucks to bulk storage, process and day tanks, and for other applications too difficult for ordinary centrifugal pumps. 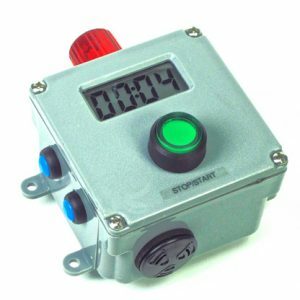 Click on the model number or to find out the model needed, use the selector menu to choose from polypropylene or PVDF, the max head and max flow, and the sizes of the suction, discharge and impeller. Or call for free guidance! Flux Pumps F Series motors are offered in a wide range of specifications featuring double shell housings, superior ventilation, corrosion resistance, explosion-proof designs and more. 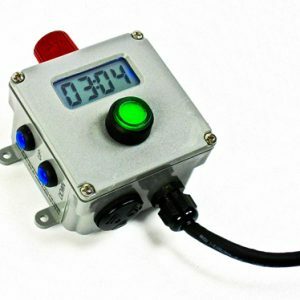 Click on the model number or to find out the model needed, use the selector menu to choose the type of air or electric motor, variable speed drive, and capacity. Or call or chat for free guidance! Finish Thompson PF series drum pumps deliver high performance in container-to-container fluid transfer. 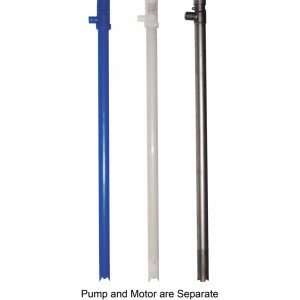 These powered, portable FTI drum pumps feature a unique double suction impeller that provides high flow and high head for the safe, easy transfer of a wide range of acids, bases, plating solutions and more. Please note: drum pumps and motors are sold separately. 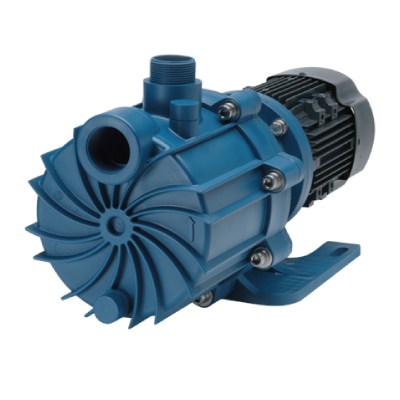 Penguin Series HOM horizontal centrifugal pumps feature a simple volute design in a durable, glass fiber-reinforced polypropylene housing with a no-metal diplo seal and easy assembly, disassembly. Choose from more than a dozen models with max flow to 132 GPM with a max head of 74 ft. and 2 in. suction / 1.5 inch discharge. Click on the model number needed or to find out the model needed, use the selector menu below. Choose the motor phase, the max head and max flow, then type of seal. Select Viton seal for high performance in corrosive and high temperature applications. Call or chat for free guidance!